McDowell Lake - DAI Inc.
McDowell Lake is a remote, fly-in First Nation of approximately 60 people located 155km northeast of Red Lake, Ontario. The community faces electricity challenges due to a lack of energy infrastructure. Multiple diesel generators are used throughout McDowell Lake to produce electricity for homes and other buildings. Without a local power grid, however, some buildings are not equipped with electricity. 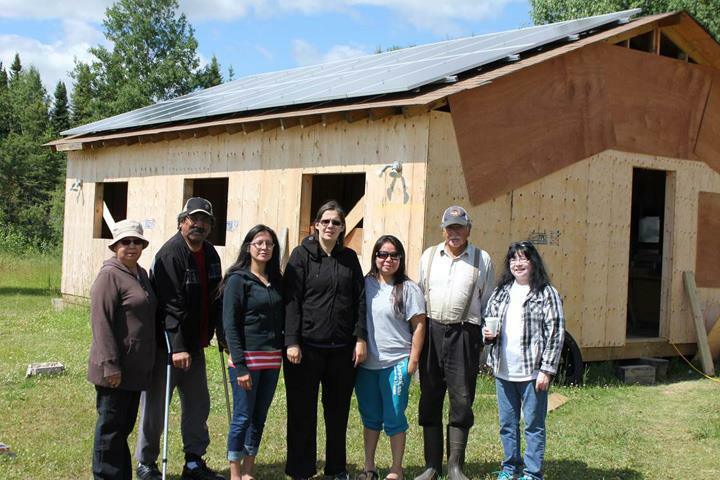 ​The newly constructed McDowell Lake First Nation Band Office includes a microgrid consisting of a 10kW rooftop solar installation and 22kWh of battery storage. The photovoltaic system will produce an estimated 14.48MWh of electricity per year, and the Band Office’s stand-alone diesel generator will make up any electricity shortfall. 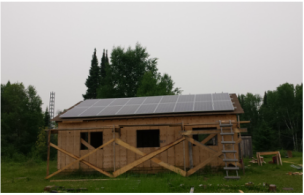 The microgrid produces enough solar and battery power to run a community fridge, freezer, lighting and internet service for four days. Importantly, the new fridge and freezer provide the First Nation with a place to store perishable foods including milk for newborns.